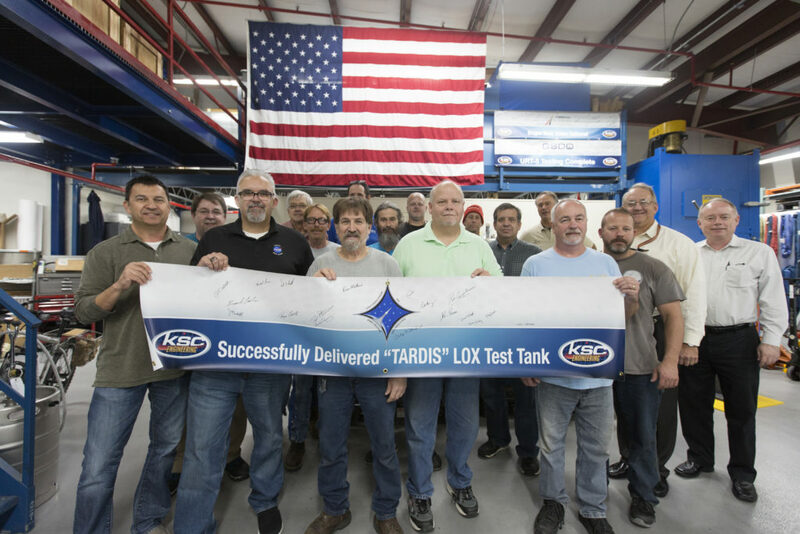 Engineers and technicians gathered in the Prototype Development Laboratory at NASA’s Kennedy Space Center in Florida on Dec. 8, 2017, to sign a banner marking the successful delivery of a liquid oxygen test tank, affectionately named “Tardis” due to its large rectangular shape. The tank, made of aluminum, was built at the lab to support cryogenic testing at Johnson Space Center’s White Sands Test Facility in Las Cruces, New Mexico. The tank is close to 12 feet tall and weighs 3,810 pounds. One side of the tank is curved to simulate the shape of a rocket for testing. Engineers and technicians came together to work on the tank. It was designed by Robert Whited, a mechanical engineer at Kennedy. Following a critical design review in July 2017, construction of the tank began in August. Large sheets of aluminum were used to make the tank. All of the parts were welded together by Phil Stroda, a professional welder with NASA. “This is a tremendous example of Kennedy’s engineering infrastructure being able to investigate and solve problems for major space programs,” said Pat Simpkins, Kennedy Engineering director. Todd Steinrock, who is the chief of the Fabrication and Development Branch, and manager of the Prototype Development Lab, said this is a great example of the value of collaboration between engineers and engineering technicians. The test tank was loaded into a truck on Dec. 11 and transported to White Sands. 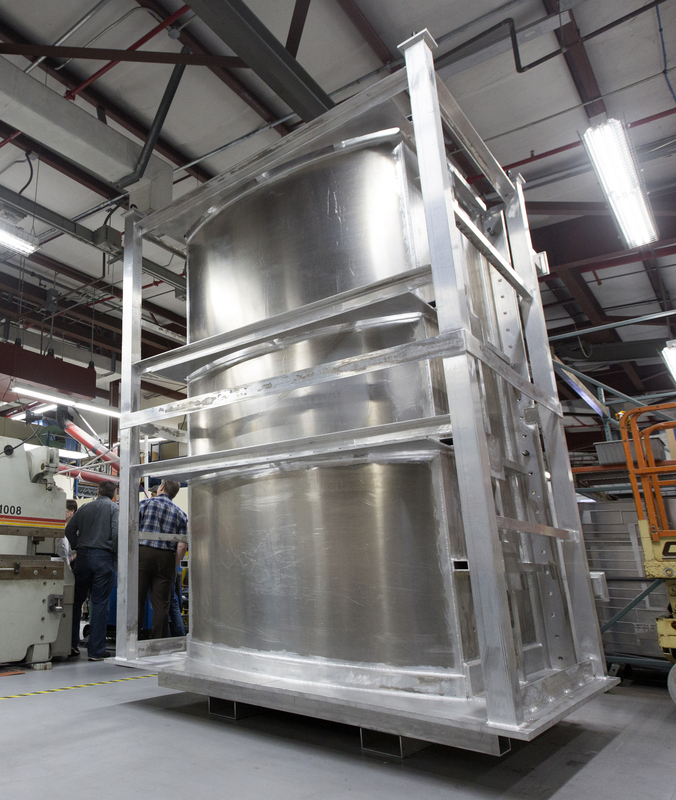 At White Sands, the test tank will be filled with cryogenic fluids and simulate processing of flight hardware. The tank will be instrumented and the data that is collected will assist engineers in validating various structure, thermal and fluid models. The Prototype Development Lab has been operating at Kennedy for more than 50 years.